I’ve always been a bag guy. In fact, several of my previous bags grace the pages of this website. When I worked in IT, I carried my MacBook Pro, iPad, camera, notebooks, papers, keys and more in a Tom Bihn Smart Alec. The bag was big enough that I could even carry a second laptop when needed. 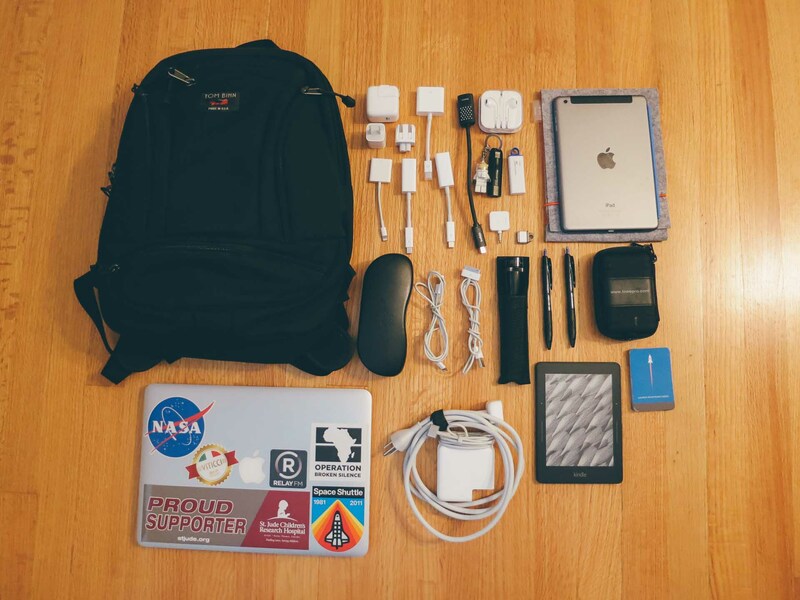 When I left my IT job, I suddenly found myself needing a lot less from a bag, and switched to carrying a MacBook Air and a few papers in a Timbuk2 messenger bag. 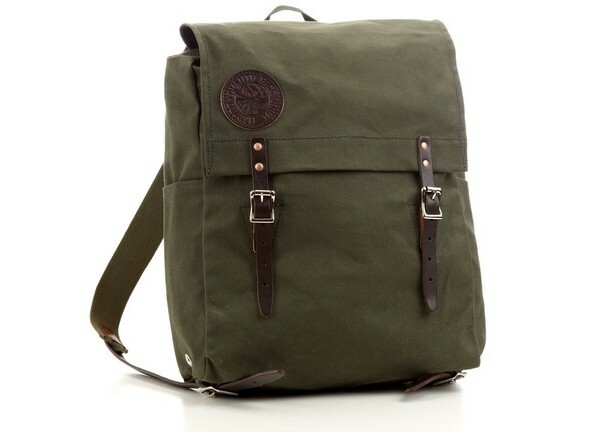 Then, following the Timbuk2 messenger bag, I wanted to go back to the flexibility and comfort of a backpack. Enter the Tom Bihn Synapse 19. 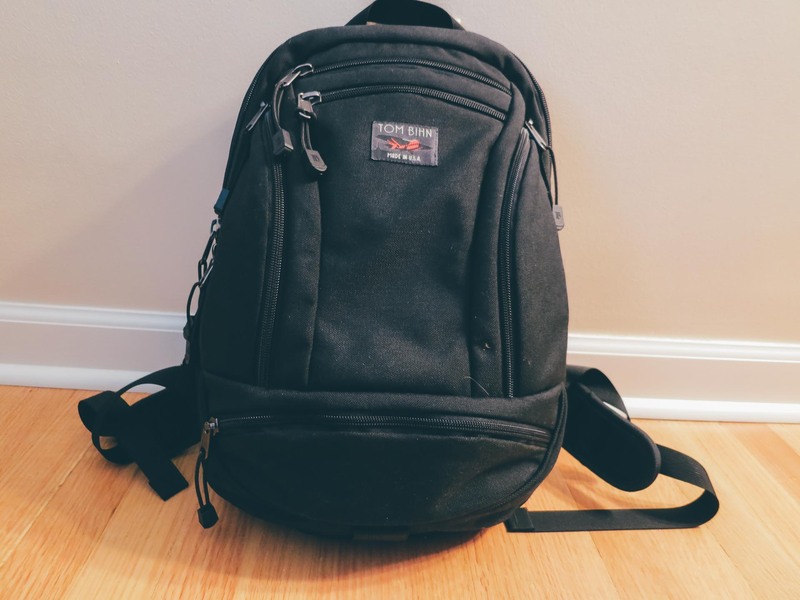 The Tom Bihn Synapse 19. 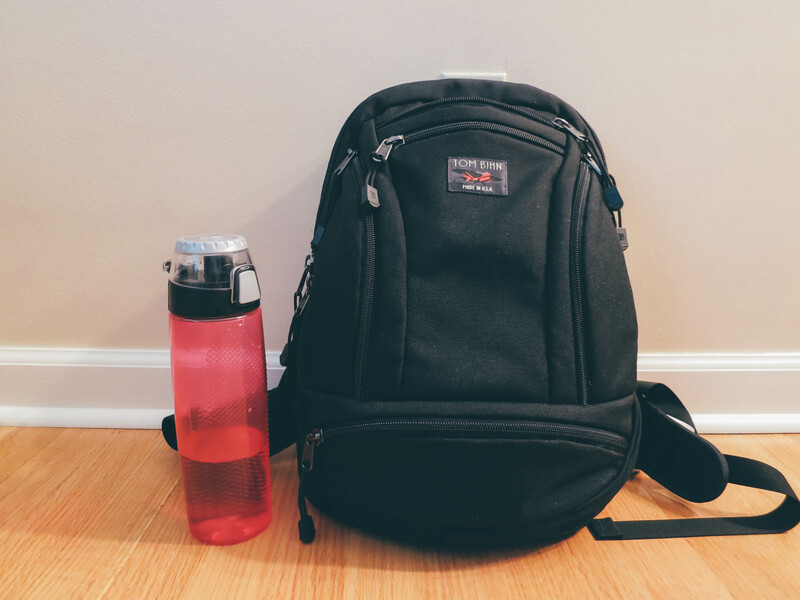 The $170 backpack from everyone’s favorite Seattle-based, Made-in-the-USA bag company isn’t the largest backpack on the market, but for someone with my needs — basically something just bigger than messenger bag — it’s hard to beat. As you can see from the photos, I opted for the black exterior, but instead of my normal choice of gray, I decided to live a little and order the “Wasabi” green interior for this backpack. Many items can be stored in the Synapse 19’s side panels and main pocket. Like the company’s Parental Unit bag, the Synapse 19 can hold a lot more than its small exterior lets on. A lot of this has to do with its brilliant side panels. When the bag isn’t fully packed, it collapses down to a small size, but if loaded down with gear, the side panels stretch and wrap around, giving the bag more depth. While the sides are clever, the real genius of the Synapse 19 is the interior, which is divided into 5 small pockets on the front, with a full-depth section closest to the wearer’s back. The Synapse 19’s bottom pocket is great for stashing USB cables and random video adapters. 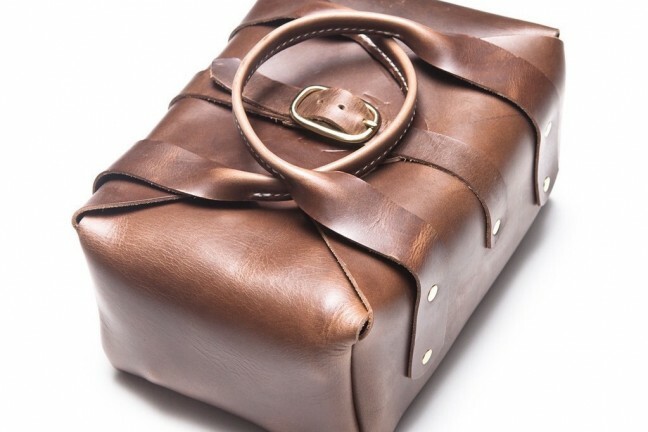 The bottom-most front pocket isn’t huge, but it spans the whole width of the bag. I wouldn’t put anything breakable down this low, but the pocket is perfect for loose, small items. 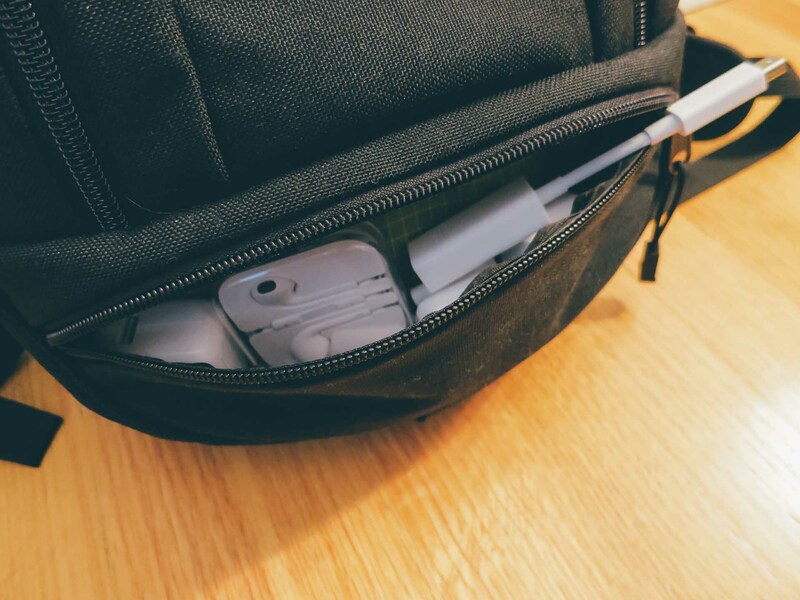 I use this pocket to stash USB cables and random video adaptors that most Mac users are plagued with carrying. 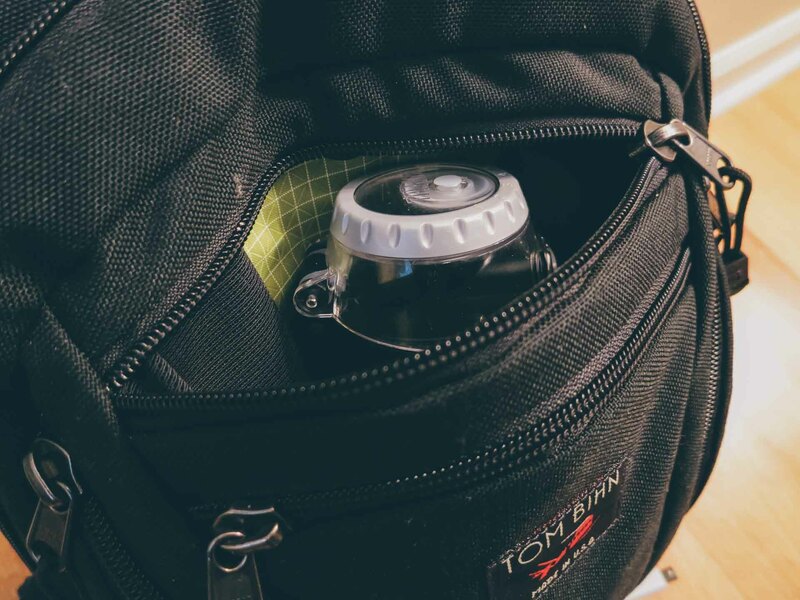 The center pocket is big enough for a large one-liter water bottle. The center pocket was surprising to me — it’s large enough for a one-liter water bottle! (Granted, I use it to carry a MagSafe power adaptor.) This pocket extends the height of the bag, and is topped by a small pouch that I’ve found perfect for USB keys and a stash of business cards. Both side pockets are well-sized; so large, in fact, that I can put my eyeglass case in one alongside some pens in the built-in pocket. On the other side, I clip my keys into one of the O-rings and stash my wallet. None of the front pockets are all that big, but they provide something I treasure in a bag: a little place for everything. I don’t have to dig through the large compartment for something small that’s gotten lost at the bottom. If I need something small, I know right where it is. While this might not seem like a big deal, coming from the Smart Alec — even with interior organizational options — finding something in the Synapse 19 is much faster and less frustrating. 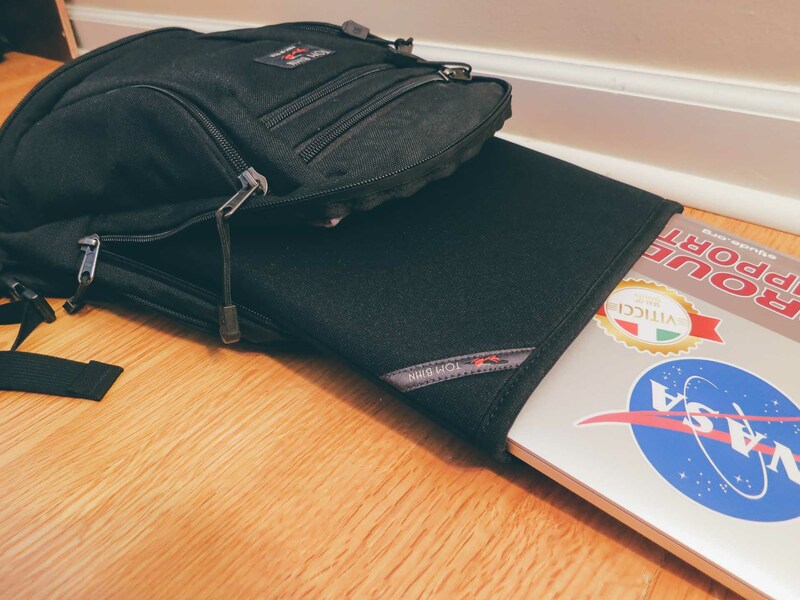 The large pocket of the Synapse 19 — like most Tom Bihn Bags — is extremely flexible. 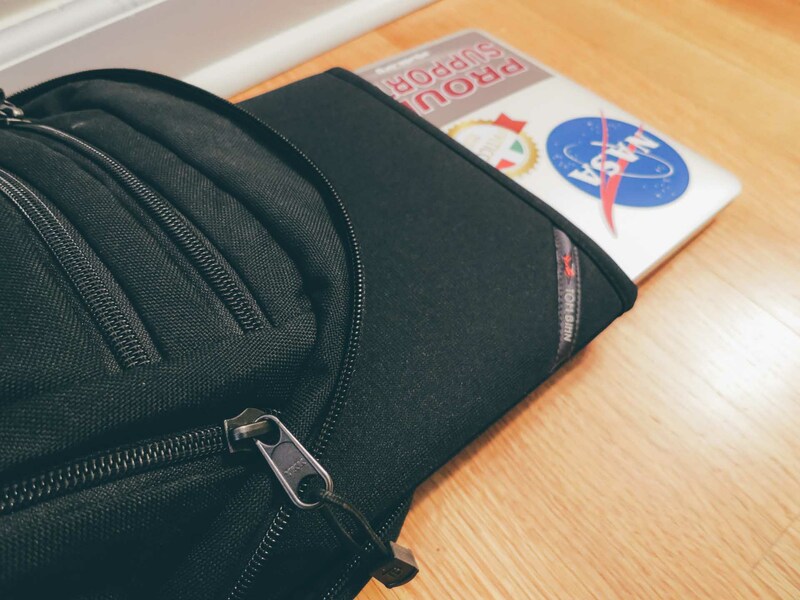 Tom Bihn’s Cache laptop sleeve is a great fit for the Synapse 19. 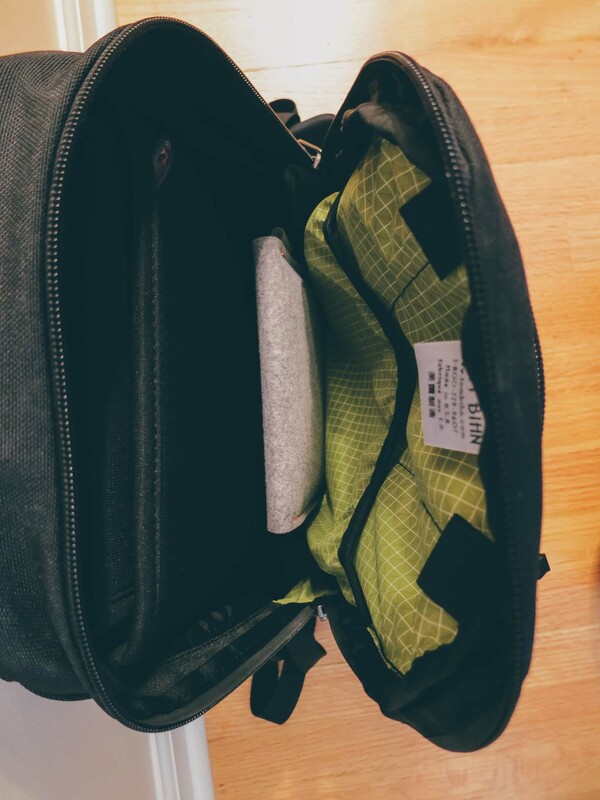 I picked up one of the company’s Cache laptop sleeves, which clips into the bag on a rail system, making it easy to slide the whole thing out when needed. The Cache laptop sleeve works on a rail system inside the Synapse 19, so pulling out a laptop is a piece of cake. Even with the Cache installed, I easily have room for my iPad mini in its case, a couple of folders worth of paperwork and my Kindle. The back pocket has a sewn-in pouch at the front with elastic around the top to keep it from flopping in the way of the main compartment. I use this to stash the long power cable for my MagSafe adaptor, but it’s deep enough for a small digital camera, power adaptor or more. 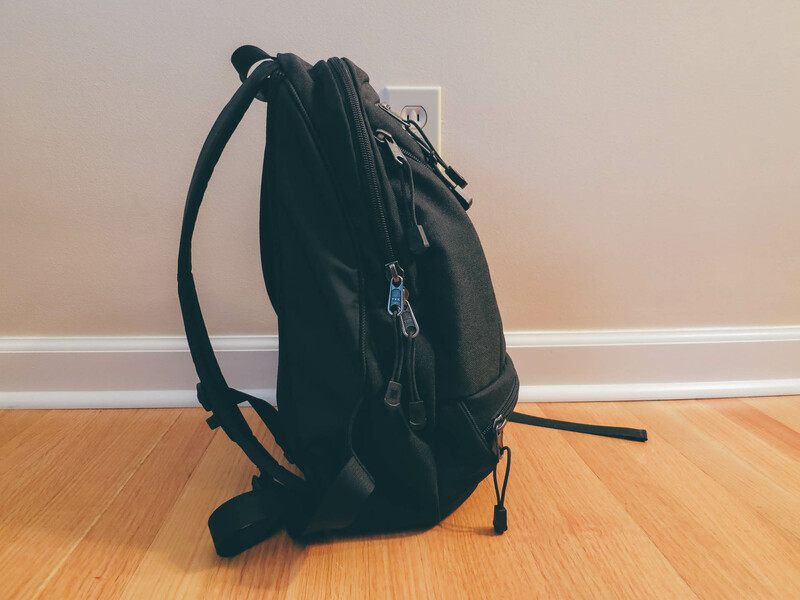 The Synapse 19 isn’t the largest backpack on the market, and that’s okay with me. 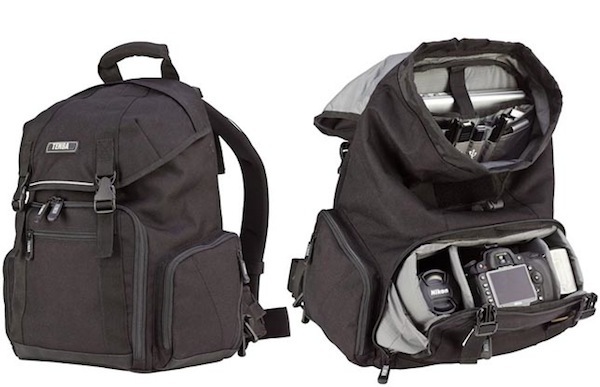 It’s well-built, thoughtfully-organized and has many more pockets that most bag in its size range. Coupled with Tom Bihn’s add-ons, it can become a great laptop bag, weekend bag or school bag easily and quickly. If you want a backpack, but don’t need something as big as the Smart Alec or GR1, it’s well worth checking out.